The residential condominium tower at Lakeside DFW appears to be moving forward as the required number of pre-sold units has been met. But first, the project will need approval from the town of Flower Mound. A site plan and a replat are expected to go before the Planning and Zoning Commission on May 9. 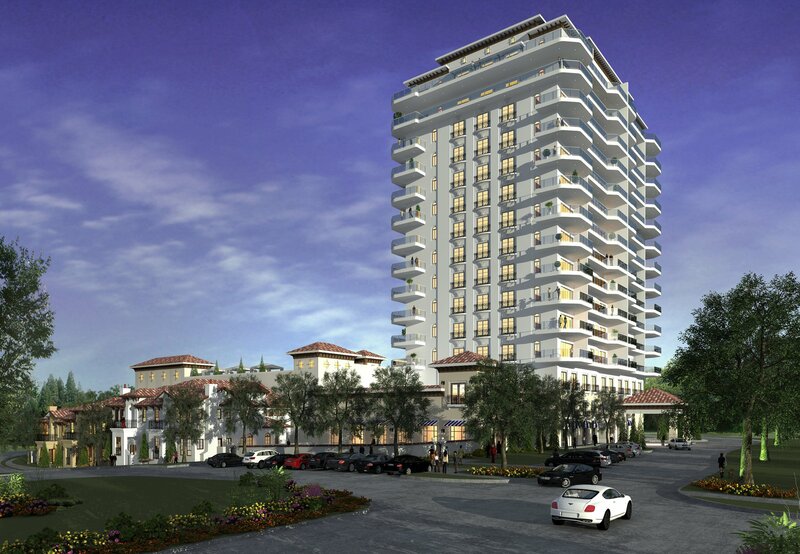 If approved, the condo tower would be 15 stories tall and would include 48 individual units. Hayden said all of the units would have a view of the lake. The project would also include four bungalows adjacent to the condo. Amenities would include 24/7 concierge, valet parking, resort-style pool, private dining area, chef kitchen, movie room, bocce ball and putting green. It will also include a 4,700-square-foot spa run by Flower Mound residents Luane Mcwhorter and Stacey Maness. Unit prices start out at $675,000 and increase based on square footage and what story the unit is on. Square footage ranges from 1,100 square feet to 5,000 square feet. Leslie Bardo, vice president of marketing for Realty Capital, said the condo tower has drawn interest from not only Flower Mound residents wanting to downsize and live in luxury but also from residents in nearby cities such as Grapevine, Colleyville and Southlake. Bardo said the process to bring the first condo tower to Flower Mound has been different than other parts of the Metroplex. Published on April 26th, 2016, by Star Local Media. Read the rest.